*Complementary food and drink provided by TRIBE THEORY! Entrepreneurship is about creativity and innovation. Yet living and working in one location often leads to an echo chamber that limit our creativity. TechSparks founder Jennifer Chang decided to break out of the Silicon Valley and Silicon Beach echo chamber and take six months to travel literally around the world. Her trip took her across 5 continents, 20 countries, 35 flights, and 45,000 miles. 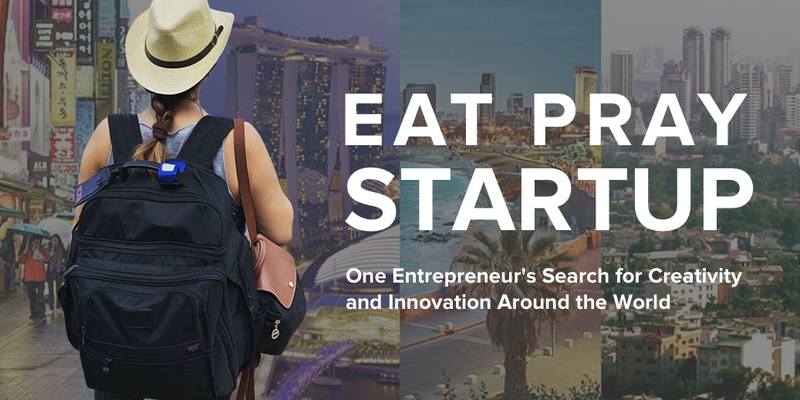 Throughout her journey, she met with entrepreneurs, investors, and technologists, using a shared interest in startups as a way to connect with local people, places, and cultures. In this special presentation, Jennifer will share highlights from her journey, including the unique organizations and companies she came across as she travelled the globe, looking for entrepreneurial soulmates. Jennifer Chang is a Los Angeles-based entrepreneur, occasional digital nomad, and world traveler. Jennifer joined her first startup in 2008, and over the past decade, has been involved in over 20 startups as cofounder, executive, advisor and consultant. She's worn many hats over the years and applies her background in finance and marketing to help startups craft compelling stories to attract customers, investors, and employees. Some of the local companies Jennifer has been involved with include FanBread, Perfect Market (Idealab), Digital Media Management, mPulse Mobile, and CreatorUp. She has also held roles at Disney, KPMG, and Apple. Jennifer got an MBA from USC Marshall and is a proud second-generation Trojan.